Screw Distributors are suppliers of a range of different types of washers, such as spring washers, flat washers, and stainless-steel washers. We are also stockists of a range of washer sizes that can accommodate a range of applications. Alongside this, customers that buy washers from our store can expect our professional advice. As such, below is an article detailing the different types, and also the method for using washers correctly. Washers are a critical element of the use of fasteners in a modern context. The use of washers has become so important, that a product assembled with them could have a reduced lifespan altogether. That said, failing to use them correctly, or even at all, could result in the long term degradation and destruction of the item you’re putting together. This could result from using the wrong washer sizes or the wrong types of washers. Typically, a washer consists of a thin plate with a hole in the middle of it that is used in conjunction with fasteners such as screws or bolts. The purpose of using washers is to distribute the compressive load of the fastener on the surface it is screwed into over a wider area. They sometimes serve other uses for those that buy washers as well. These include being used as spacers, springs, locking devices, and also as vibration reducers. In terms of sizes, washers are a highly versatile product. That said, they come in a massive range of washer sizes, depending on the screw size to be used. This versatility holds true for all types of washers, including spring washers, flat washers, and others. They can also be categorised into three different types of washers. Specifically, they are plain washers, spring washers, and locking washers. All of which serve different purposes and applications in their usage. 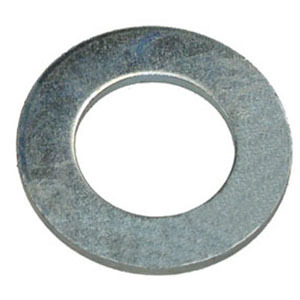 Plain washers are used to spread the compressive load of a fastener upon a surface. Using washers in this way prevents surface damage to the object itself as well. Additionally, special plain washers are also used in providing insulation for electrical components. 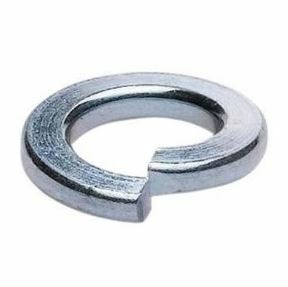 Spring Washers are quite flexible and shaped like springs. They are better suited to moving machinery and objects that may vibrate. 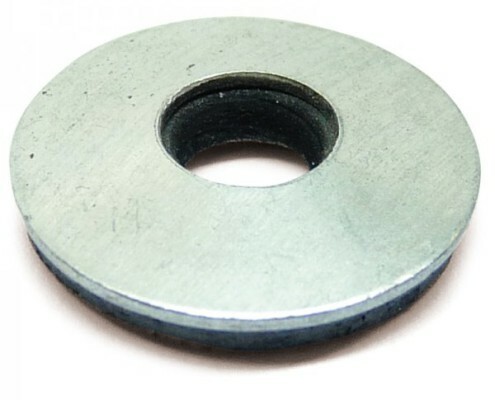 Spring washers are useful for this as they reduce vibrations and prevent fasteners from loosening as a result. 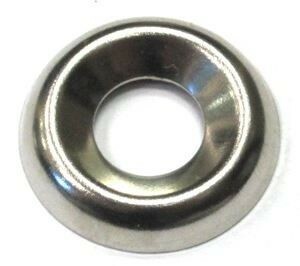 Unlike spring washers, using washers of a the locking type prevent fasteners from loosening in a rotational manner. There are, however, locking washers that are used in a similar fashion to spring washers. Before using washers of any kind with a fastener, it’s important to know what types of washers you intend on using. 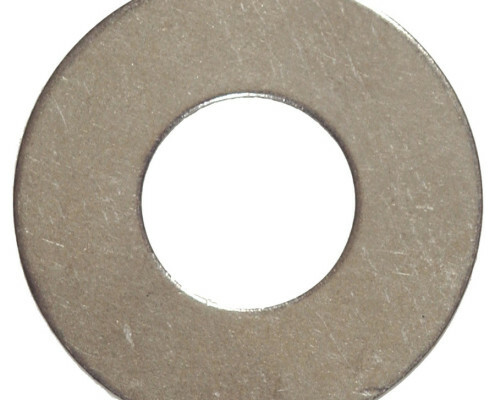 Often times, a combination of two types of washers should be used, such as spring washers on top of flat washers. This combination provides both protection against vibration and also spreads the force of the fastener over the surface of the object. Measuring the correct washer sizes is also of critical importance. 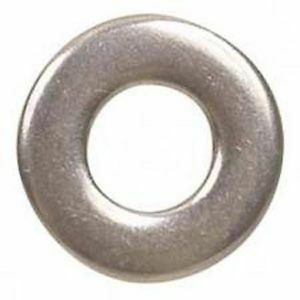 Using washers that are too big or too small may result in an unsatisfactory end result, especially in the long term. For example, from a waterproofing perspective, using a washer that is too large may result in leakage. Also take thickness into account when you buy washers for the project. Often, the fastener may need to be tightened even more. When this is the case, a thicker washer will make it easier to achieve this. Finally, ensure that you’re using the correct material when you buy washers. You may need a washer that offers corrosive resistance, or a tougher material that can be tightened more than washers for less intensive applications. Screw Distributors are suppliers of high quality washers. The variety in type and sizes we have available, in conjunction with our technical knowledge, means that we are able to help our customers over and above our capacity for supplying washers. We are also able to correctly advise on their usage. For further queries regarding our fasteners, feel free to contact us. Anon, (2018). [online] Available at: https://www.linkedin.com/pulse/washers-steel-types-forms-uses-aljazeera-bolts-industries/ [Accessed 19 Feb. 2018]. Melfast Inc. Industrial Supplies Blog – Fasteners, Bolts, Screws & More. (2018). When And How Should Washers Be Used?. [online] Available at: http://www.melfast.com/blog/2016/04/when-and-how-should-washers-beused/ [Accessed 19 Feb. 2018].